Part of woodworking is to do good joinery; if the joints are tight and well-fitting, you’ve got a better chance of long-term success. But the other part is gluing those wood joints – particularly if you’re working with imperfect pallet wood! But which types of wood glue do you use? Have you ever been to the glue aisle in a home improvement center? It’s HUGE. There are so many types, which unless you’ve got a glue expert with you, what usually happens is you grab a brand name you recognize, even if you find out later it’s not the best choice for your project. So what types of wood glue are there? What’s the difference? I’m very glad you asked. I had to ask too. I can hear you all saying, "Whaaaa?" Don’t panic! You know what this is. PVA stands for polyvinyl acetate. Most of you have worked with the gold-standard of hobby craft glue for all kids: in elementary school: Elmer’s White Glue. The great thing about Elmer’s is that it’s safe! How many of you know someone who has gotten it in their mouth, either by accident or on purpose, and they lived to tell the tale? I was one of those, but it was accidental – I promise! But PVA has a lot of good points. You can clean up excess Elmer’s glue with a damp sponge or paper towel. It’s sticky, but you have time to shift and realign the two pieces you’re joining. The downside for me is that it only has a modest tack – meaning the grip/grab strength. Sometimes, I want the piece to be placed and just stay, like on a vertical surface. You have to plan on clamping PVA glue to give it a chance to stick. But, once it’s cured, it’s pretty strong. Are there any other PVA glues out there? Sure. 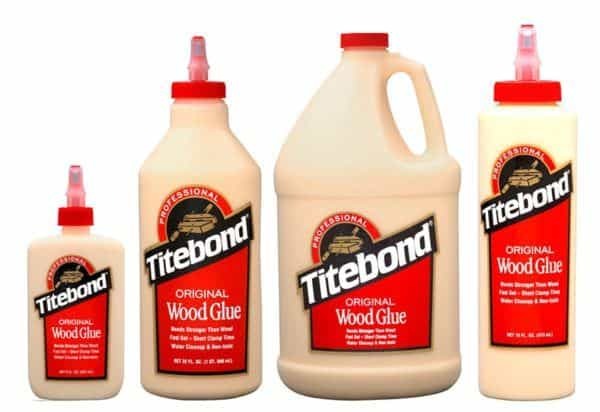 How many of you have gotten a bottle of Titebond or other "carpenter’s" wood glue? These yellow glues, known as aliphatic resins are part of the PVA family. They’ve been around a while, so we’re all pretty comfortable with them. 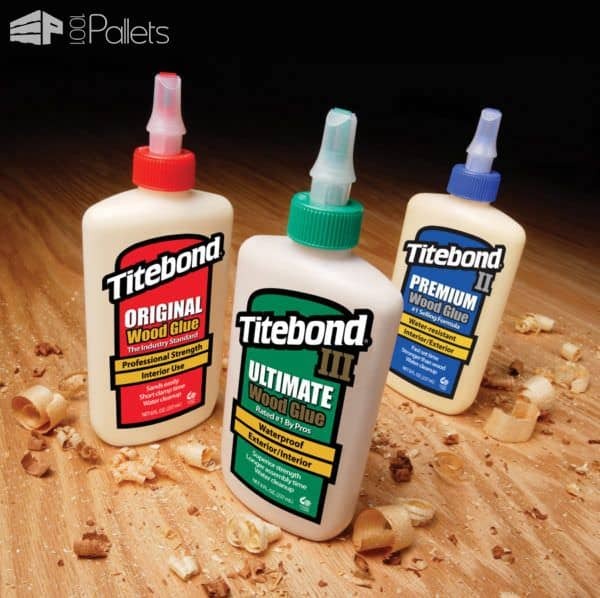 I mentioned Titebond, but we can’t forget Elmer’s Carpenter’s Glue and Gorilla Glue – yes – Gorilla Glue also manufacturers a PVA-style glue. Don’t freak; we haven’t slipped into an alternate universe. We’ll get to that Gorilla Glue that everyone’s familiar with that does that weird expanding thing. But within the PVA category, you’ve got lots of choices. Remember: I’m not endorsing anyone. I’m just sharing information here. 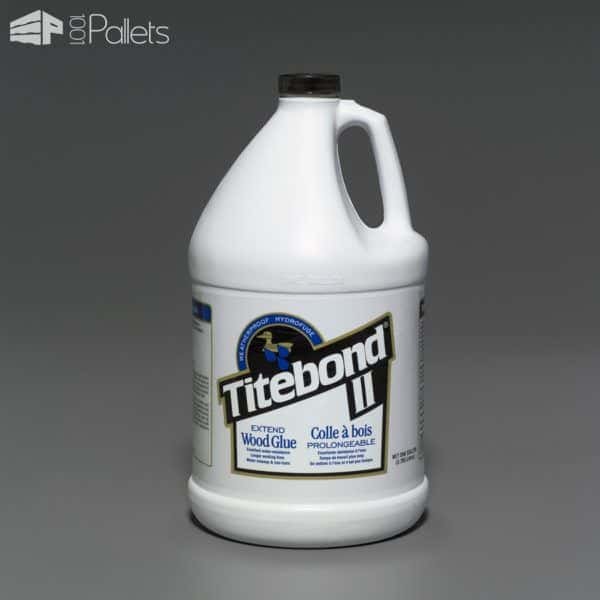 I’m going to start with Titebond since it seems to have a LOT of varieties these days. 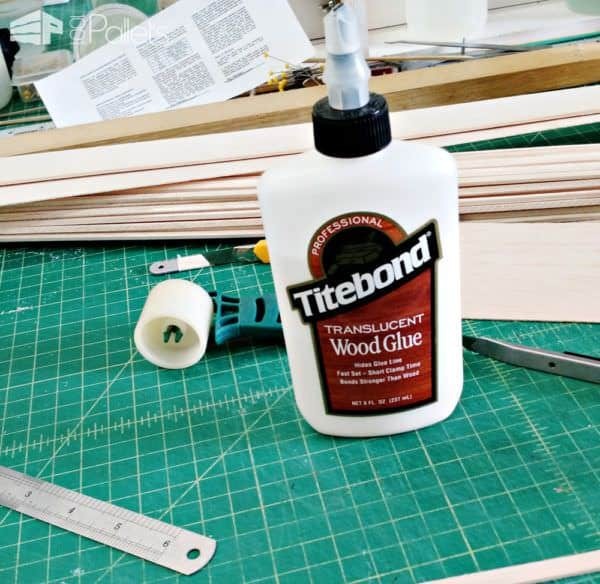 Their website even has a cool "woodworking glues product selector" since they have so many choices which turned out to be a good resource for me when I started questioning my types of glue for wood (and got zero help at the home centers). 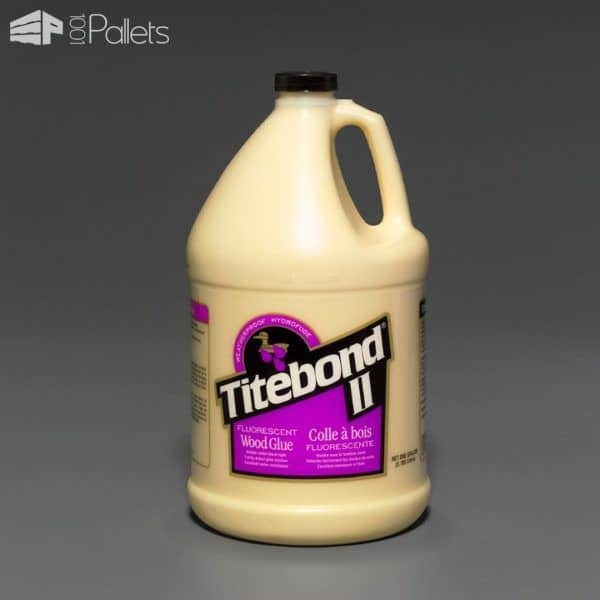 Let’s start with the basics of Titebond. A classic PVA glue. Similar properties as the rest of the Titebond line – read below. It sets quickly and has a pretty good initial grab, so you need to align your project quickly, or you’ll be a very unhappy camper), but this type is indoor use only – not water resistant. Not for your porch pallet project, but does clean up with water, has excellent standability and isn’t affected by finishes. It also sets quickly; grabs well, etc., but it’s water-resistant. You can use this wood glue for indoor or outdoor projects, such as outdoor furniture, birdhouses, planters, and picnic tables. The other thing it’s approved for is indirect food contact, like cutting boards and bowls. Dark-tinted to match darker woods or stains. Slower set speed, and provides a translucent wood glue line, is very sandable when dry, and unaffected by finishes. 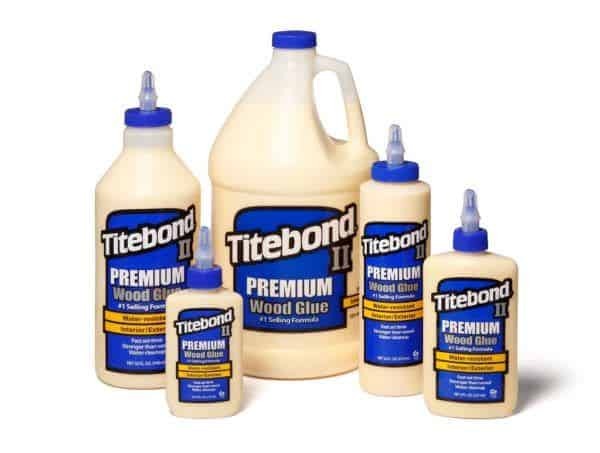 Titebond 4134 Extend Wood Glue Bottle, 16 oz. Has a dye that when viewed under a black light, lets you see the wood glue line and clean up any glue fingerprints (not that any of us have ever done that, of course). For use with a fluorescent black light to see glue lines and excess glue before finishing. Passes ANSI Type II water-resistance specification. You can clean this stuff up with water when it’s wet, but it dries waterproof – but not for continuous submersion or for applications that sit below a waterline (so no boats or canoes). Good for indoor or outdoor uses, too. 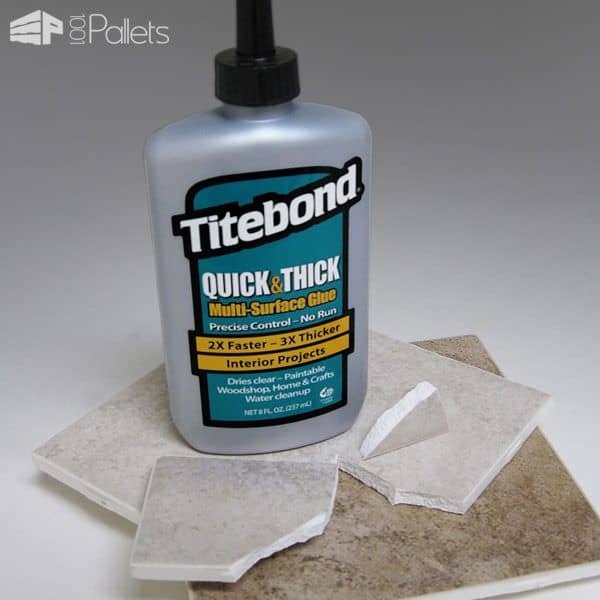 Has similar properties as the other Titebond line of glues, but it’s safer than traditional waterproof glues since it’s solvent-free.  Also approved for indirect food contact. Also, says it sands easily without softening (which can be advantageous when using power sanders). Similar to Titebond I, but dries translucent. Same features as most of the Titebond line. Thickest, fastest-drying glue; strong initial tack and fast set, but still allows for realignment of working pieces. Per the website, "develops a bond stronger than the wood itself" and offers excellent standability. Also unaffected by finishes. Dries translucent. Very thick, and ideal for wood, pottery, ceramics, stone, glass, fabrics, leather, and most craft-type materials. This one may be handy if you’re doing a pallet art piece with mixed media! Dries clear; unaffected by finishes. PVA glues are pretty strong. They bond well; a good initial grab. They set fairly quickly, but you still have time to adjust or align your workpieces. Usually non-toxic; some dry translucent. They’re sandable for the most part. Some don’t dry clear (and may not match your piece). If you get it anywhere, when you stain, you’ll instantly know. It’ll show up as a non-stained area, which looks horrible. You need to vigorously sand/plane/scrape that glues off! Maybe there is something to that fluorescent PVA glue? They don’t stick well to other glues, so using them for older furniture repair isn’t the best choice. 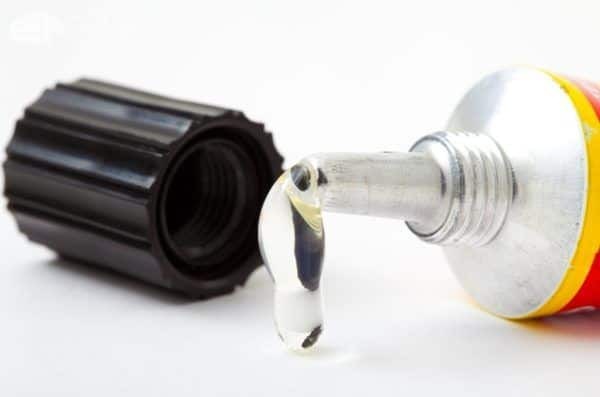 Not the best choice as a primary adhesive for edge gluing – such as attaching boards together, as in a tabletop WITHOUT any other fasteners (nails, screws, dowels, etc.). You’d be better off with polyurethane glue or hide glues. Keep a little bucket of water handy. I hang mine UNDER my workbench, away from cords/tools, etc., that I can keep a sponge handy. I can simply give it a squeeze and wipe down the surface of my project (or my fingers). It won’t accept stain . . . But it loves bonding to wood, so you can mix in some of your sanding dust to make it more closely color-matched. If you mix it a bit thicker with matching sawdust, you’ve created your own perfectly matched wood filler (this was from the ProBond Techs when I asked about a product they listed but was recently discontinued). I’d bet that most of you have a bottle of this running around these days. 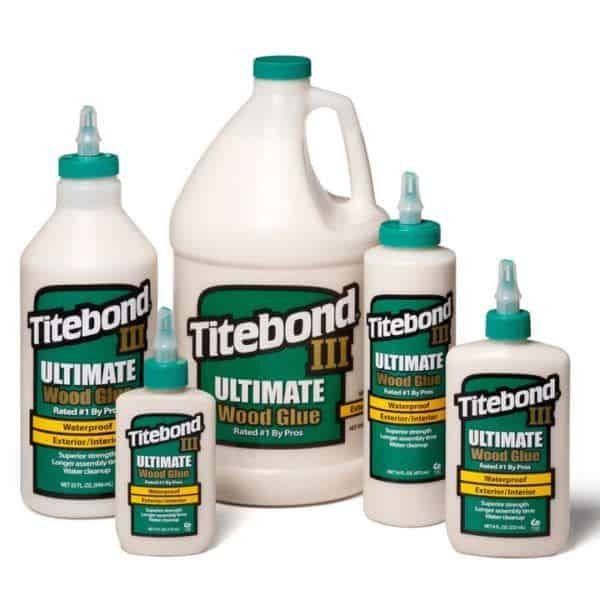 Gorilla Glue, TiteBond Polyurethane Glue & Probond Polyurethane Glue are probably types you’ve seen (or purchased). This stuff is NEAT, isn’t it? You know you got a little giddy the first time you used it…until you tried to clean your fingers or used too much of it and you ended up with a giant foamy tumor on your project. But what the heck is it? 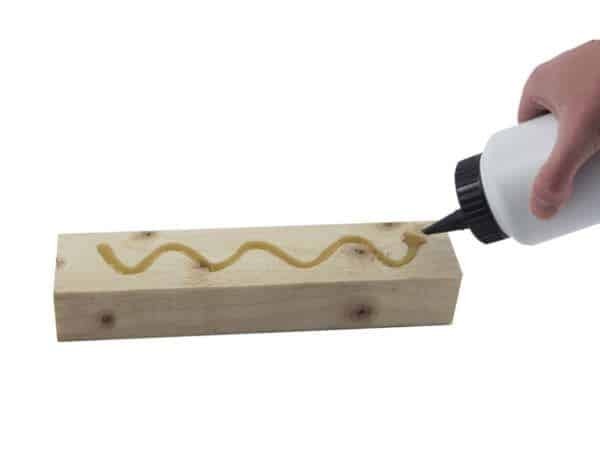 It’s a one-part adhesive, and it sticks to many types of surfaces – so it’s handy in a woodworking shop. It’ll stick to wood, metals, stone, ceramics and most plastics. The key point is to understand that it doesn’t dry like PVA glue. It’s a chemical reaction with moisture in the objects and the air. When this happens, the stuff foams up and expands, filling all those gaps in imperfect pallet wood. This will create well-filled, strong glue joint. If the material is dry (like pallet wood), having a spray bottle with ordinary water handy is beneficial – Just spray the material with a light mist of water before gluing will speed up the curing process. Or, you can use that same sponge & small bucket I mentioned before and just squeeze it as dry as possible and very lightly wipe the piece down. It makes a difference. Accepts wood stains (I’ve had a little bit of a challenge with this so don’t automatically assume it’ll stain and become invisible). Longer setting time, so you have time to adjust your piece (or your misaligned clamps). If you break the joint later, you can sand the stuff off easier than PVAs, which can sometimes act “gummy” when you’re sanding them. If you use too much, you can make a huge mess. I mentioned a foam tumor. I was lucky; it could’ve been a foam BLOB. NOT cleanable with water. You’ll need to have some denatured alcohol handy for your fingers and your work piece. I’d recommend using gloves if you’re using this for a few joints. You WILL eventually get it on your hands. Can harden in the container – as you use it, moist air gets in and starts the setting process. If you bought the big bottle and didn't want to waste it, you can pour a few mineral spirits in the container if you’re storing it for extended periods – but mark the bottle somehow – you need to pour the solvents off before using it! To apply, such as to a larger surface, apply the glue by waving the bottle back and forth to create a wave shape. Then you’ll use a spatula, roller bottle, or spreader to distribute the glue. You want it thinner towards the edges and thicker in the middle for less squeeze-out when clamping it. Remove squeeze-out with a damp paper towel. If you miss some, you can use a scraper or chisel to scrape gently it free. Yup. It’s made from hides. But, it’s got a lot of advantages. You can get different degrees of initial tack. This is handy if you expand your skills into furniture making (like chairs). You don’t want some of the rails installed, and they set hard before you put all the pieces together, would you? 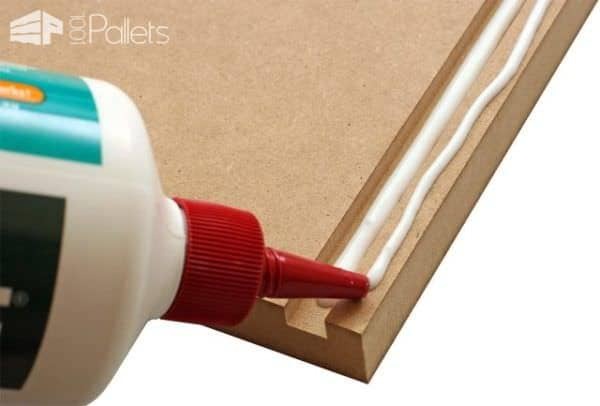 This is why this is a very advantageous type of glue for cabinets/chairs, etc. It’s long-lasting (most antique furniture is held together with hiding glue). It doesn’t “creep” – meaning that wood pieces glued with hiding glue stay put. It’s not waterproof. It can be reactivated with moisture. Professionals will heat and mix it to get it just right for the specific applications they need. 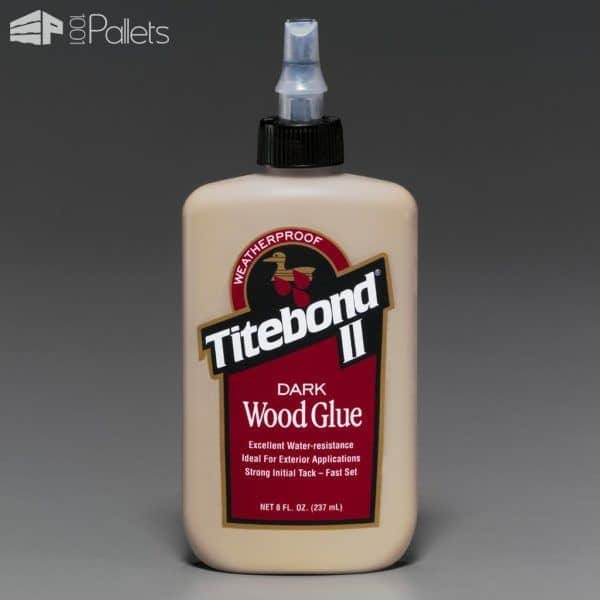 But for the rest of us, you can get TiteBond Liquid Hide Glue – just use it like the other TiteBond products – squeeze it out and use it. The other common brand you may see is Old Brown Glue. Tack can be increased by creating a rub joint (rub two coated pieces together, and they’ll stay together). Creates a strong bond similar to PVA glue. Good for veneer work and musical instruments too. You can loosen the joint with heat – which can be advantageous for creating heirloom pieces or repairing antique ones. Can be loosened with moisture for furniture repair (we’re talking STEAM). Doesn’t interfere with finishes if you missed a spot. 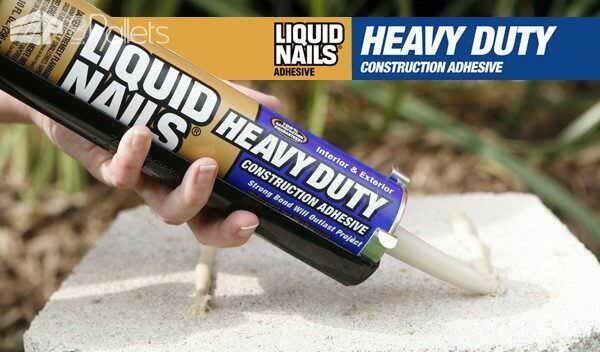 Very long-lasting glue (except for the moisture thing). Once opened, doesn’t have a long shelf life. Can be reactivated (or weakened) with moisture. Think about where you’re going to use it. 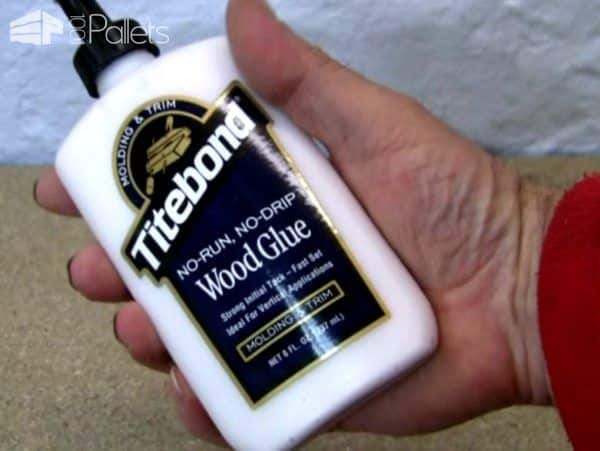 “True” hide glue needs to be heated – but can be applied with a brush. You’d most likely recognize this by the brand name “Super Glue.” But why would we use this in woodworking? You could use it as a temporary joint. Handy when you’re doing things like curved pieces. 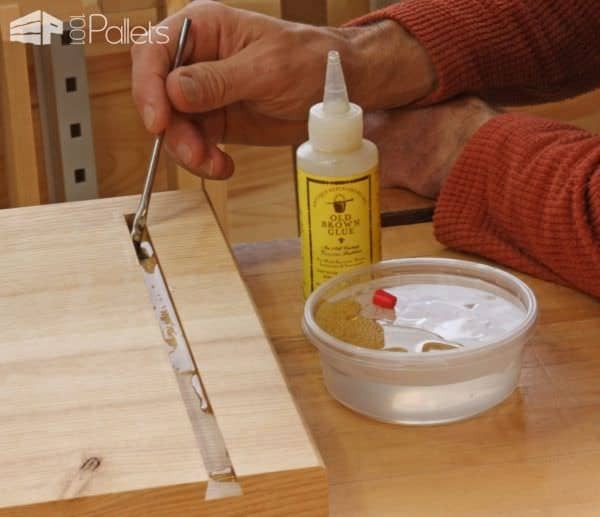 You can stick a glue block temporarily to help your clamps have a spot to squeeze onto. To remove the temporary blocks, just tap with a mallet or hammer, and the glue blocks will come right off. It can be used for inlay projects as well. Can be handy for small repairs, such as when carving or turning wood. Sets rapidly – in seconds to minutes. Sets even faster with an accelerant. Can be used as a temporary way to join wood together; fairly easy to remove as it isn’t a flexible joint. Handy to fix loose wood knots too. Surfaces must be fit well together to achieve a good bond. Finicky with surface contact/coverage. If you use too much or too little, it can change or affect the bond. Can glue your fingers to the project or together. Be careful! 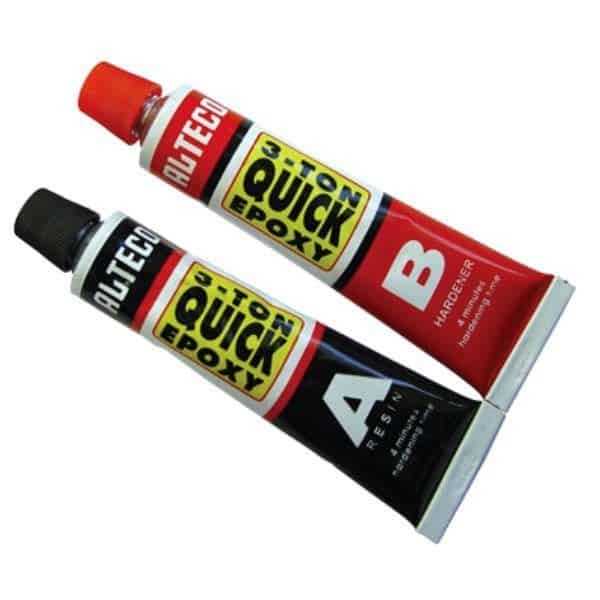 Best for low impact strength requirements (frequently used with balsa wood projects, and carpenters often use a 2-part CA glue to bond mitered trim). The hard glue joint mentioned above can fracture under impact. CA glue can be cleaned up in its uncured state with acetone. Once cured, the acetone can’t continue dissolving the glue. Comes in different thicknesses, but be careful with the thin variety – it does run! This is a two-part adhesive. It’ll come with a resin and a hardener. Both are liquid, but when combined, there’s that pesky chemical reaction thing again – and they’ll start to harden. It’s waterproof and fills gaps in wood or can repair/consolidate damaged wood. It’ll fix gaps that other glues won’t fill/hold. They have different cure times, but the general rule of thumb is that the longer it takes to cure, the stronger the bond will be. If you can be patient – WAIT and get a stronger bond! Available in different varieties that’ll create different cure rates. Is available in a wide range of moisture and temperature conditions. Resistant to rain, weather, UV light, and heat. Adheres well to a wide range of substrates. MUST be done in a well-ventilated area. Mix the glue in small batches, as most cure fairly rapidly – within a few minutes. You don’t want to mix a huge batch and throw most of it out. Have to measure; inaccuracies impact the strength (or if it’ll hold at all). It can be handy to buy disposable plastic cups (like the medicine bottle cups – such as on the top of a Nyquil bottle), so you can measure your parts easily, and if any residue sets up, you can throw the whole thing out. I’ve also found it handy to buy some tongue depressors. This makes mixing and applying the epoxy easy. Epoxy won’t stick to silicone and some tapes so you can use them to mask and create borders. Use gloves too. Cylindrical sticks that are fed through a "glue gun". 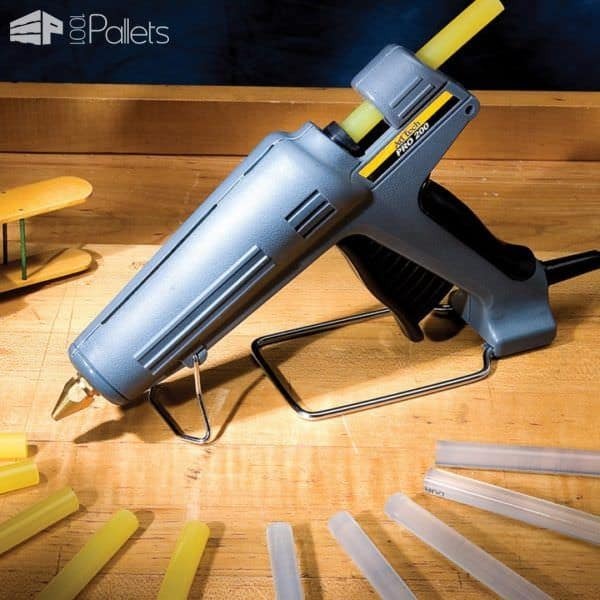 This thermoplastic glue melts quickly and sets quickly. It can be removed by either popping it off or by heating it with a heat gun. Can be handy for temporarily holding things you’re clamping. Hot melt glue can be also handy for things like gluing fabric to wood (think box liners and similar). Be careful – this stuff can be hot and could give you a wicked burn! Since some of you have mentioned it already in your fabulous submissions. 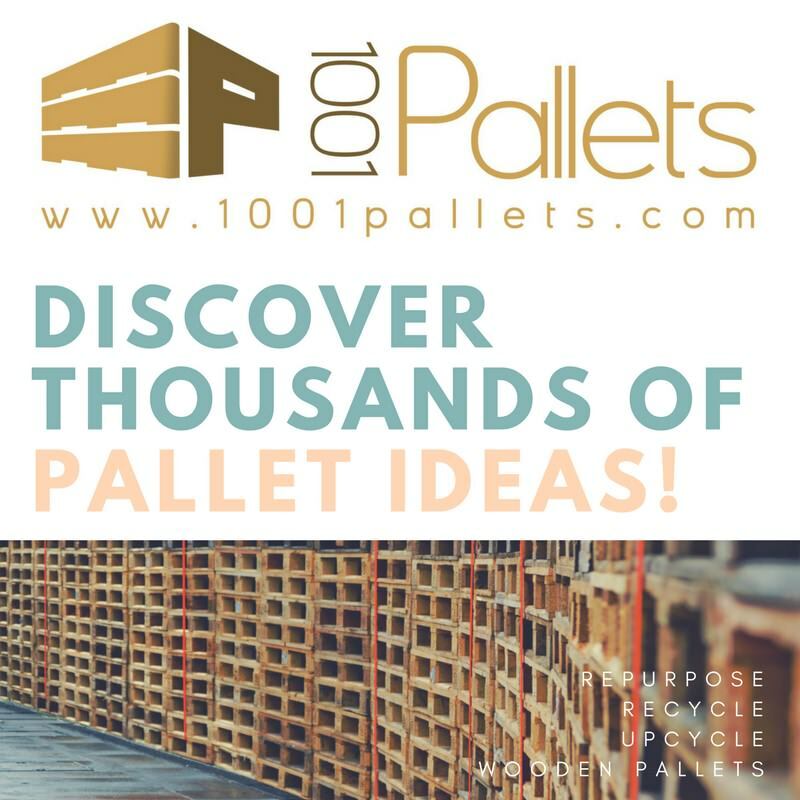 Brands such as Loctite Power Grab and Liquid Nails do have their place in pallet construction. I’ve used the Power Grab brand a few times, and it really is like having another set of hands because it has a fairly quick tack time. The Power Grab product can be applied in wet conditions, can bond two non-porous surfaces, and can be applied in a wide temperature range. It has a reposition time of ten minutes (although you’d be fighting if you waited more than five minutes!). It’s also Greenguard certified. It’s not good for marine applications, even though it’s very water resistant. It’ll bond concrete, masonry, granite, brick, tile, ceramic, porcelain, aluminum, metal, stainless steel (kitchen projects, anyone? ), drywall, plaster, PVC, fiberglass, wood, and laminates. Bonds damn near everything according to the label. There are different tack speeds (or grab formulas), up to a zero-second instant grab formula - I avoid this one! I never get things aligned perfectly in one shot, haha. All-weather – can be applied to wet surfaces and extreme temperatures. Can be smoothed out. Dampen your finger, and you can smooth it out like caulking or silicone. But be warned, it likes to stick to your fingernails. Is dispensed like caulking or silicone sealant, so you get a toothpaste sized line for everything. It can be messy if you forget to release the caulking gun trigger and it keeps on dispensing as you focus on the short tack-time. Yup. Did this one. Learned my lesson. This stuff is sticky. I use gloves when I apply it because I always get some on myself.